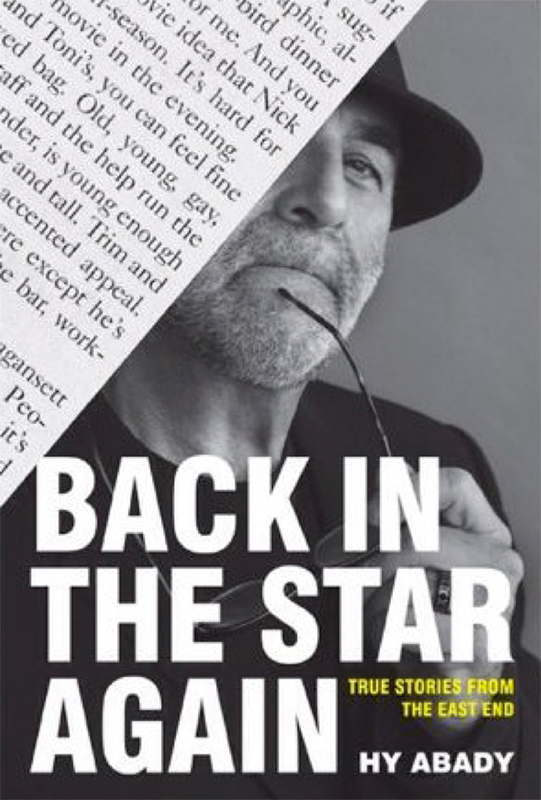 BACK IN THE STAR AGAIN AGAIN! FURTHER STORIES FROM THE EAST END. AND BEYOND. As you’ve read on, I have written on. The sequel, hence the ‘Again Again! in the title of the book has to do with eight more recent pieces in the Star (2010 – 2015) since the original book was published. 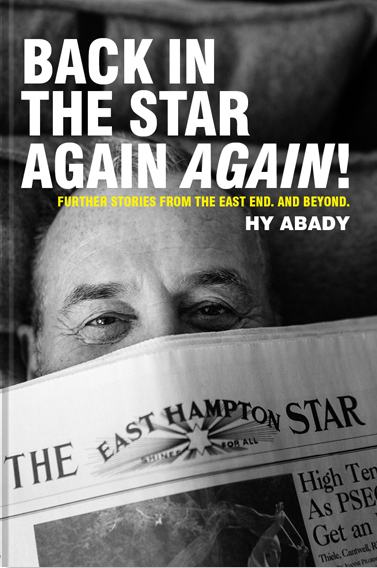 A bit more broad-based and further reaching from the Hamptons, it deals with retirement (mine) a crazy scaffold story (my building, over five years) a noisy night at the theatre, scary plane rides, every celebrity I have seen over 35 years on the East End, and, well…you’ll just have to read on! There are strangers lounging around by my pool! A couple, a married couple, strangers, the man, apparently heterosexual, cavorting around in a sarong! They are smiling, drinking rose wine, and sweltering in July's recent 90-degree-plus heat. What are they doing in my gorgeous--if as my pool guy referred to it--peanut pool? (It's tiny, but chic.) Oh, wait a sec. The pool is theirs. As is the house. My house has been sold. TRUE STORIES FROM THE EAST END. My first book. And how proud am I! The stories in the book hail from 1986, when I had a blind date with Andy Warhol, to the title story, written in 2009, which has all to do with my thrill of being a published writer. In between, are pieces about Renee Zellweger, Nora Ephron, the fight I had with my pool guy, and all things Hamptons and not. The dog pieces are especially poignant, and there is a longish piece about my 44-year advertising career.